Today we’d like to introduce you to Brennan Mallonee. Brennan, please share your story with us. How did you get to where you are today? I’ve been working as a mental health counselor since 2010, when I finished my master’s in counseling psychology. The first few years for anyone in this field involve getting enough experience to apply for licensure and get established. It’s a chance to really double down on learning the clinical skills that make for good therapy while refining your style and honing in on your particular strengths and interests. 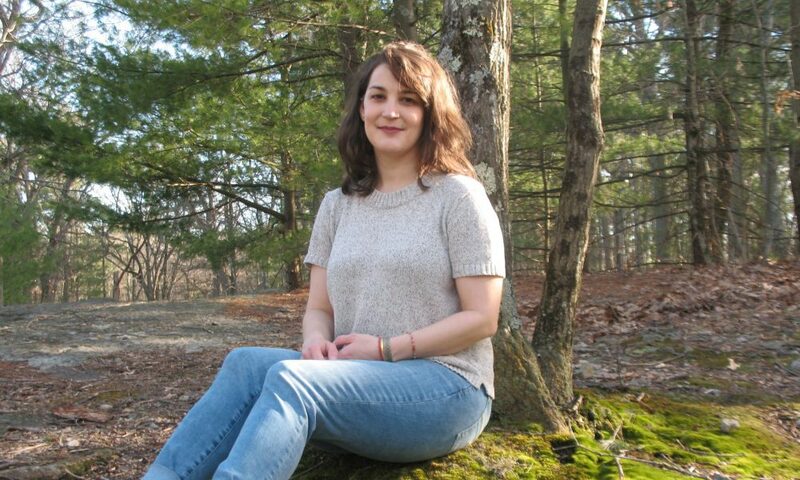 I spent time working in residential treatment and community mental health before joining a group practice, Greenbridge Counseling & Wellness, LLC in Tyngsboro, MA, which focuses on holistic therapy. Holistic therapy is the idea that you look at the whole person rather than focusing on a set of symptoms, and this was in line with my growing interest in looking at how we cannot just treat mental health issues but really promote overall mental wellness. The years I spent at Greenbridge were the biggest factor in me being able to start my own business – I got to work alongside fantastic therapists and learn great clinical skills from them while also seeing how a business is run from the inside. I’d never given much thought to owning my own business, but when I got to the point where I wanted to work closer to home, I realized I already had much of the knowledge I needed to start a private practice. I also had the encouragement and support of everyone at Greenbridge and of friends who have made this leap, so I was in a great place to take a risk and create something that I couldn’t have imagined even a couple of years earlier. I started work on the private practice in December 2015 and it grew rapidly. With every step, there’s a sense of excitement to see what doors will open next. Overall, I’ve been quite lucky. The bumps along the way haven’t always been fun, but I’ve had a wonderful group of colleagues, friends, and family to help me and I’ve managed to keep those bumps from turning into anything worse. There’s a fair amount of financial investment in getting something like this up and running, although probably less than for many businesses, and that wasn’t something I’d planned for as much as I could have. There have also been some snags with billing insurance at times, which can quickly become a huge financial issue for a small business. Frustration with insurance and the endless hoops you and your clients sometimes have to jump through is pretty much endemic to this field. Everyone in private practice that I know is trying to find a balance between making their services accessible to the public and being able to make a living, and that doesn’t always feel great. Therapy is a professional act, but it’s also an incredibly personal one, so talking about money can be uncomfortable in that setting. We aren’t given much guidance, if any, in grad school about how to handle that aspect of the work and the ways that it can complicate the therapeutic relationship. I always try to be very transparent with my clients about how insurance works, how my fees work, and all of that because insurance and billing rules can be convoluted and arcane. Clients are often feeling vulnerable already, so it’s very important to me that they understand the process. For example, choosing to stop taking a particular insurance was a tough decision for me but one that was necessary for the business, and I was open about that and that I didn’t make that change lightly or without figuring out ways to make sure that it didn’t adversely affect clients. Brennan C. Mallonee, LMHC – what should we know? What do you guys do best? What sets you apart from the competition? I own a private practice where I work as a licensed mental health counselor doing individual therapy. My work focuses largely on issues related to depression, anxiety, and trauma. Within that overarching focus, I also have a couple of specialties that I’ve built over the years. First, a large portion of my practice is working with people in their late teens (16+) through their late 20s, especially college and grad school students. That transition from childhood into adulthood can be such a painful one, full of all sorts of struggles. It’s a time when people’s worlds are really starting to take shape as they hammer out what kind of a person they want to be, what sorts of relationships they want to invest in, what passions are going to drive them. I love seeing that process of someone unfolding into the person they’re going to be, with all the layers we all have to peel back as we work to become even better versions of ourselves. It’s a process with a lot of potential for pain and having someone to talk things through with can make a huge difference. Second, I have a specialty in what I think of as spiritually sensitive counseling. My bachelor’s degree is in religion and I’ve done research at both the undergraduate and graduate levels on the intersection of religion and spirituality with psychotherapy. For a lot of therapists, the extent of the training they get around this is a suggestion that we should be sensitive to people’s beliefs and that spiritual practices can have positive effects on mental health. There’s really no direction on how you engage with a client around those topics, and as a result, I think a lot of therapists shy away from discussing clients’ spiritual lives. They might feel uncomfortable with it or they might simply not have learned the skills to go into that with any depth. My background in the philosophy of religion as well as clinical applications means that I’m open to talking with clients about how religion or spirituality affects their lives on a lot of levels. For some people, it might be a general exploration of how they find meaning and purpose in their lives or clarifying what values they want to live by. For others, it might be looking at how they integrate their religious identity with the secular parts of their life and ways they can meet their psychological needs while honoring their religious practices. Sometimes it means working through trauma associated with abuse or rejection that happened within a religious community. For clients who are interested in that sort of work, I provide something that’s rare and I think quite valuable. There are four factors that I focus on. First, I look for evidence that I’m providing effective, ethical therapy to my clients and that they’re pleased with the work we’re doing. If that isn’t happening, I’ve missed the boat entirely. Second, I look for a level of financial stability that allows me to offer a sliding scale to those who otherwise wouldn’t be able to access these services. Third, I aim to be continually recharging my passion for this work so that I stay fresh and feel excited to go to work. And fourth, I want a level of financial stability that also allows me the freedom to invest in the kinds of things that I love and that help me to prevent burning out. If I can provide quality therapy to my clients, open my doors a little wider to the community, stay excited about my work, and live a full and fulfilling life, then I feel as though I’ve succeeded.